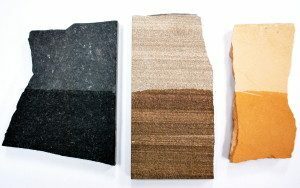 The use of natural stone or decorative coloured concrete pavers makes a great addition to any home. However, like any building material, the permeable surfaces are prone to unsightly staining by natural and man-made contamination. Protectaseal Enhancer is a new-generation surface treatment that not only protects the paver against staining but also enhances the surface appearance. Utilising innovative silicone nanotechnology, this product deeply penetrates and lines the pores within the paver’s substrate, converting an absorbent surface into one that is water and oil-repellent [stain-resistant]. Protectaseal Enhancer gives the surface a deeper and richer finish. Protectaseal Enhancer will enhance the colour of the paver, giving it a matt wet-look, but will not change the surface integrity or texture, nor affect the surface breathability. Unlike common acrylic sealers, this sealer is not a coating, so there will be no peeling or blistering over time. However, it will effectively repel commonly occurring stains such as grease and oil from food, wine and tannin from trees. It will also reduce the occurrence of mould and efflorescence. The treated surface will be easier to clean without the use of harsh chemicals. PROTECTASEAL ENHANCER offers many benefits, allowing the pavers to remain cleaner and maintenance-free, and enjoyed for longer.